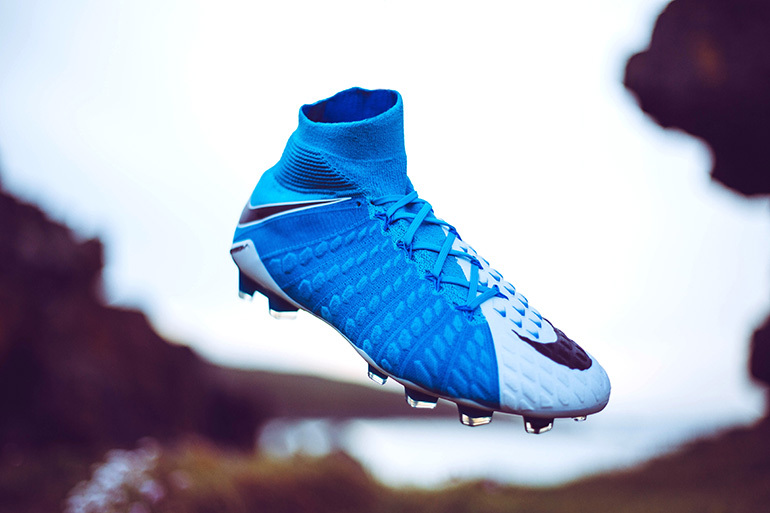 We take a closer look into the new Hypervenom Phantom from Nikes recent ‘Motion Blur’ pack. 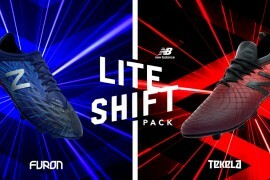 Inspired by colours from the Euros 2012 Clash Pack, the Motion Blur pack has gone down hugely popular with fans across the globe. 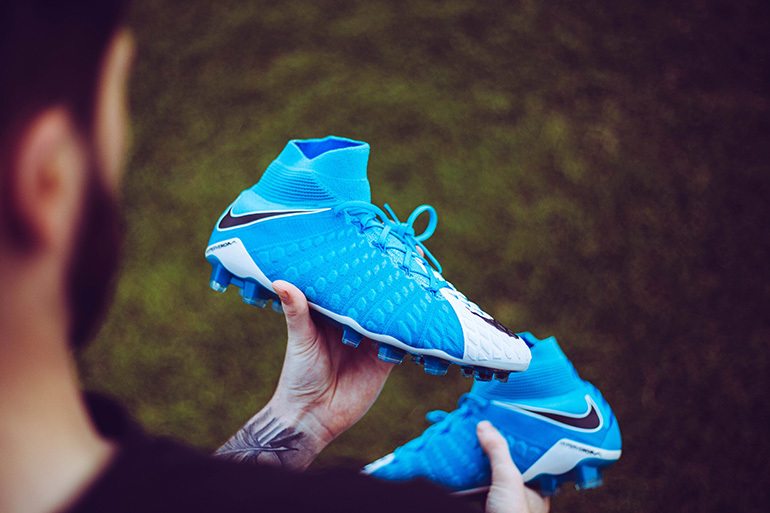 We got our hands on a fresh pair of Hypervenom Phantom’s and had to take a closer look. Worn by players such as Pierre-Emerick Aubameyang & Robert Lewandowski, the Hypervenom Phantom has been given a complete flyknit upper, creating an incredibly light boot without compromising on durability. 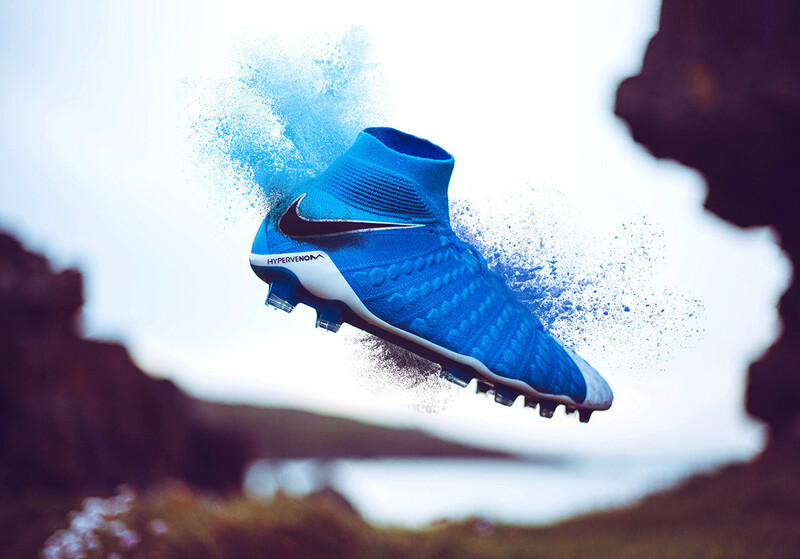 Nike has used flyknit on a lot of their products, proving it to be a huge success on the pitch and in the streets. You will notice that Nike have fitted the new Hypervenom Phantom with a ‘Nike Grip’ insole, providing ultimate fit and minimal slipping within the boot. 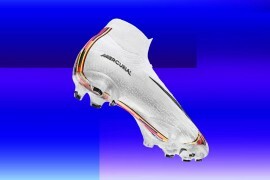 Nike have also added 3 meters of Flywire cables to the boots, which are added to small built in channels into the upper. 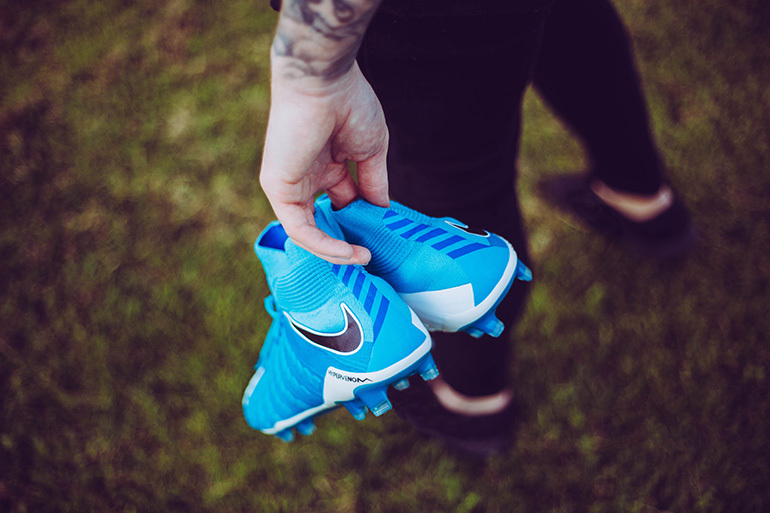 The laces, connected to the Flywire cables, run between small loops on the upper, giving the player full personalised control over comfort and fit. Rigid nylon sits at the back for ultimate support. Strike zones a clearly placed on the upper, which are made up of several 2 mm Poron Foam Pods. 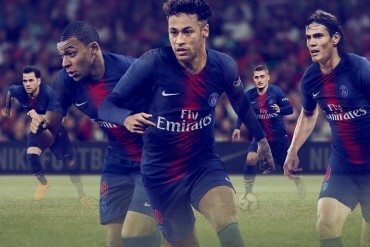 The strike zones are designed to adapt to anything situation you are in, wether it is picking out that soft but precise pass, or striking that hard, inch perfect shot.Hollow spaces across the upper allow flexibility and improved first touch on the ball.